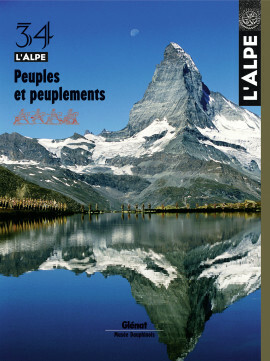 Migrations and the mixing of peoples characterise the human settlement of the Alps. Attraction and repulsion phenomena that varied depending on the period, the place and circumstances produced complex back and forth movements of groups. The result is a diverse patchwork of populations showing little respect for borders. Colonisation of the Alps was a long process of adaptation and the development of the Alpine peoples the result of a mysterious alchemy. Over the centuries, different groups advanced step by step in the mountains and created an original lifestyle. But Alpine civilisation comprised fluctuating cultural aspects, which raises the delicate question of the distinction between a people and its culture. Warriors or goldsmiths ? Beyond the warlike image portrayed in the ancient texts, the Celts (or Gauls) left traces of subtle art forms. Remarkable objects bear witness to complex cultural exchanges and a lively civilisation that, at its height, spread from the British isles to Asia Minor. A territory in which the Alps played a central role. Virtually unknown to the ancient authors, the Alpine populations were often described as savage and hostile. The Romans paid little attention to these peoples, besides occasionally attributing them highly imaginative origins and fighting them to maintain control over the mountain passes. In the end, conquered as much by civilisation as by arms, the Alpine inhabitants were slowly Romanised. A human wave crashed down on the Roman world at the start of the 400s. Arriving from the north and east, the « barbarian » populations spread throughout Gaul, Italy and the Alpine regions. They set up a new political order and left an enduring mark on the Western world. Far from being a sign of stagnation or a system of migration based exclusively on the socio-economic context, mobility has always been a fundamental factor in the organisation of Alpine societies. Tranhumances, multiple activities, peddling, political exile and specific occupations all contributed to continuous comings and goings. Swiss emigration to Argentina has been both significant and widely ignored since the 1800s. Put in charge of preparing an exhibition presenting the adventure of expatriated persons from Fribourg, Christophe Mauron discusses the essential stages in the work, amid doubts, backtracking and… new conclusions. Waves of migration have occurred over the past two centuries in the Alps. In an ebb and flow movement, mountain regions, long a source of emigrants, are now becoming attractive again. These migrations are largely due to economic factors, themselves influenced by politics. A recent switch has made the summits the place to be. Returns to the original homesteads, tourism and seasonal jobs are all reasons why the landscapes, populations and local economies new tend to (re)concentrate high up. Switzerland and the U.S. How do the Swiss perceive the Yanks and vice versa ? To answer that question, photographer Geri Stocker took a look at what most effectively feeds the collective imagination, i.e. publicity icons. From quaint to arms of massive seduction. The linguistic geography of the Alps reflects ethnic diversity and many external influences. It is a true mosaic due to the relative isolation of the valleys that nonetheless lie in a central position in Europe, at the crossroads of different cultures. This diversity has, over the past century, gradually lost ground and almost everywhere, the local idioms are disappearing, replaced by the national languages. A surprising, long forgotten civilisation would appear to have existed in the Chartreuse mountains just north of Grenoble. A number of chance events and archaeological digs have revealed abundant relics bearing witness to what was much more than just a culture. They are now undergoing study at the Charbinières archaeological centre, directed by Marc Pessin. A guided visit to discover the traces of a lost wonderland. what in a landscape ? Here is an excerpt from L’homme qui a vu l’ours, a collection of articles by Jean Rolin, a journalist awarded the Ptolémée prize at the Saint-Dié geography festival in 2006. In the style of an impressionist painter, this remarkable book presents the musings of an open-minded observer that tell us more about the real world today than many a weighty volume. In a pig, there is nothing to throw away. How long will that remain true ? The loyal companion of farmers has contributed for centuries to feeding families, notably in the Alps, offering a diversity and quality of food that current standardisation has virtually eliminated in the name of productivity. But a few Alpine farmers are determined to resist !